Scientists and field workers from the Denver Museum of Nature and Science are finding evidence of Mastodons (ancient elephants) of all ages and sizes including juveniles and infants as they continue their excavation of the Snowmass reservoir site in Colorado. For sometime now, team members at Everything Dinosaur have been following and reporting on the excavation of an ancient Ice Age lake bed organised by the Denver museum in a race against time before a reservoir extension is completed. 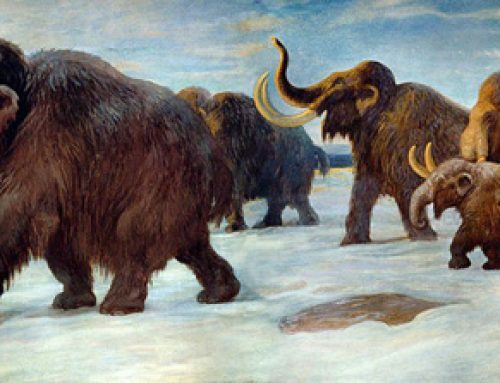 The scientists and volunteers have so far recovered a treasure trove of amazing fossil fossil finds providing a detailed insight into the fauna and flora of the United States from the time of the “mega” mammals such as Mammoths, giant bison and Mastodons. Given only a short window of opportunity to work in the area before the construction teams move in to complete their building project, it is a race against time to find and extract the fossils and the hard work of the people involved has been rewarded with some amazing discoveries including Mastodon fossils from individuals of all ages. The Denver Museum has been keen to co-operate with the construction companies involved in the building project, ensuring that agreement was reached to let them continue their research. The Mastodon fossil finds so far include a small skull of an infant (the size of a basketball), a small skull of a juvenile (the size of a beer keg), a tiny femur or thigh bone that may have belonged to a foetus (it measures seven inches in length), and more than twenty tusks of varying shapes and sizes. Prior to the fantastic discoveries near Snowmass, on the reservoir excavation project, there had only been three other Mastodon finds on record in the state of Colorado, and no Mastodon skull material had ever been found in this part of the United States. Picture Credit: Denver Museum of Nature and Science. Scientists are busy collecting data and mapping the finds — details that can help them piece together what occurred at the site, an ancient lake where hundreds of Ice Age fossils have been recovered. Scientists believe the oldest fossils being recovered are 130,000 to 150,000 years old. This is the Denver Museum’s largest ever fossil excavation project with more than one hundred and fifty personnel involved including scientists, volunteers and other staff members. They have just a few weeks to complete the work before the site has to be closed to enable the reservoir to be completed.